Displaying remarkable consistency on the track, top-seeded Arch Rival Roller Derby of St. Louis, Missouri, U.S. (Seed #1, WFTDA #5) defeated Philly Roller Derby of Philadelphia, Pennsylvania, U.S. (Seed #8, WFTDA #21) by nearly 300 points — 357-58 — in Game 5 of the 2018 International WFTDA Playoffs A Coruña on Friday. Arch Rival’s defense only allowed Philly to score in just seven of the game’s 43 jams. The strong defensive formations from the St. Louis squad just seemed to wear down opposing jammers. Meanwhile, Arch Rival’s four-jammer rotation consistently posted double-digit point scoring jams. Arch Rival’s skaters appeared unflappable on the track, while Philly seemed to get rattled, racking up penalties for an illegal star pass, a false start and losing an opportunistic power jam start to a misconduct penalty. Even when the Liberty Belles had a point-scoring bright spot, Arch Rival matched it to create a rare jam where each team scored 20 points. It was Philly’s second game of the day, having defeated Stockholm Roller Derby of Stockholm, Sweden (Seed #9, WFTDA #23), 204-158, in Friday’s first match. Arch Rival’s captain Bricktator led all scorers with 104 points, while Psychokid D Freakout had 87, Reptar had 82, and Swanson had 70. Philly’s Buenos D. A$$ had 30 points. 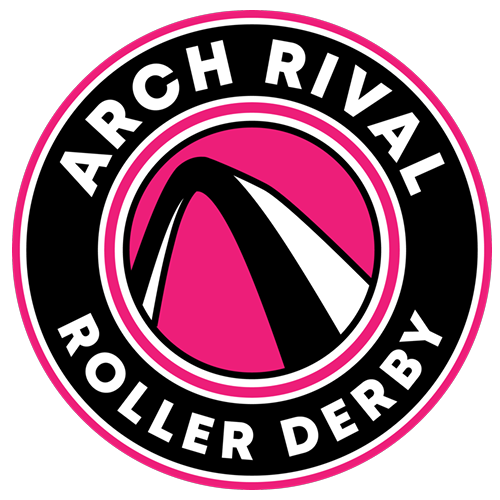 Arch Rival advances to face the winner of Game 6, either Rainy City Roller Derby of Manchester, United Kingdom (Seed #4, WFTDA #12) or Helsinki Roller Derby of Helsinki, Finland (Seed #5, WFTDA #13), in Game 11 at 6 p.m. CET on Saturday. Philly moves to the consolation bracket and will face either Crime City Rollers of Malmö, Sweden (Seed #3, WFTDA #10) or Santa Cruz Derby Girls of Santa Cruz, California, U.S. (Seed #6, WFTDA #16) in Game 13 at 11 a.m. CET on Sunday.